What if it had been Kremer, Miguel & Trump? "Some guy is saying a reanalysis of a key study argued that there was no clear evidence for improvement in either school attendance or examination performance when using year-stratified cluster-summary analysis. First of all. Just so you understand, this guy is a total loser. He begged me to be his peer reviewer, I said "NO THANKS." Pathetic! Second, I never said that about the year-stratified cluster-summary analysis. Never said it! Here's the thing. I use the year-stratified regression models and you know what? It works, it just works. I'm winning, my p-values are so much lower than his, this guy's a joke. And he says the cluster summary! Liar, you can't listen to him, this guy's a degenerate and I don't even need to tell you what he did with the standard errors. I mean, there are things about this guy that I don’t want to talk about. You can look. But I’m not going to talk about them. Very bad guy! Our study, it's terrific. No one else will tell it like it is, but we're telling it like it is. We're going to beat those worms. Terrific!" 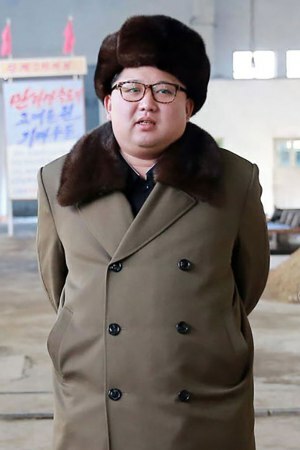 Famine nears (again) in North Korea as Kim Jong number Un eats nation's food supply! Abstract: Human beings are responsive to fairness violations. People reject unfair offers and go out of their way to punish those who behave unfairly. However, little is known regarding when unfair treatment can either help or harm performance. We found that basketball players were more likely to make free throws after being awarded a foul specific to unfair treatment (Study 1). Similarly, hockey players were more likely to score during a penalty shot compared to a shootout (Study 2). A laboratory experiment showed that participants were more accurate at golf putting after a previous attempt had been unfairly nullified (Study 3). However, a final experiment revealed that when the task was more demanding, unfair treatment resulted in worse performance (Study 4). Moreover, this effect was mediated by feelings of anger and frustration. These results suggest that performance is sensitive to perceptions of fairness and justice. We MUST act as if we have free will, we have no choice. (Man, I crack myself up). Abstract: Regardless of whether free will exists, believing that it does affects one’s behavior. When an individual’s belief in free will is challenged, one can become more likely to act in an uncooperative manner. The mechanism behind the relationship between one’s belief in free will and behavior is still debated. The current study uses an economic contribution game under varying time constraints to elucidate whether reducing belief in free will allows one to justify negative behavior or if the effects occur at a more intuitive level of processing. Here we show that although people are intuitively cooperative, challenging their belief in free will corrupts this behavior, leading to impulsive selfishness. If given time to think, however, people are able to override the initial inclination toward self-interest induced by discouraging a belief in free will. Labels: articles to read, taste the freedom!